Here is Gu Li being interviewed after the match. And here are two photos taken during the fourth game, and in the end. Here is the game record of the fourth and last game: Gu Li, playing black, won by resignation. You can find the tournament table for the BC Cup here. 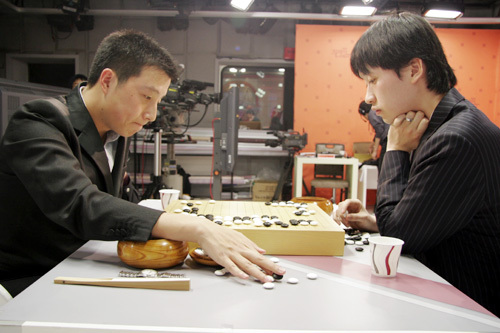 Here is the game record of the first game, when Gu Li won by resignation. 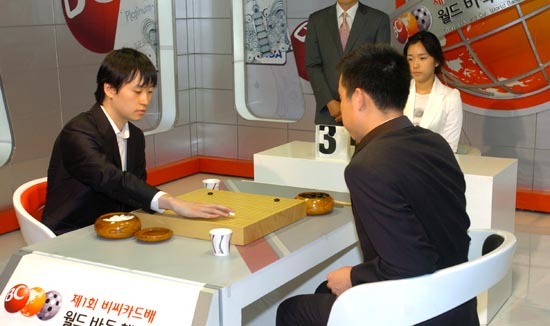 And here is the game record of the second game, won by resignation by Cho Hanseung. The next three games are scheduled in the next three days (BC Cup final is played in a best-of-five system).